…maybe Natural Timber is better? It seems to better complement the adjoining Asbestos shingles (lower right) which will remain, as as described in my previous post. Which do you like better? 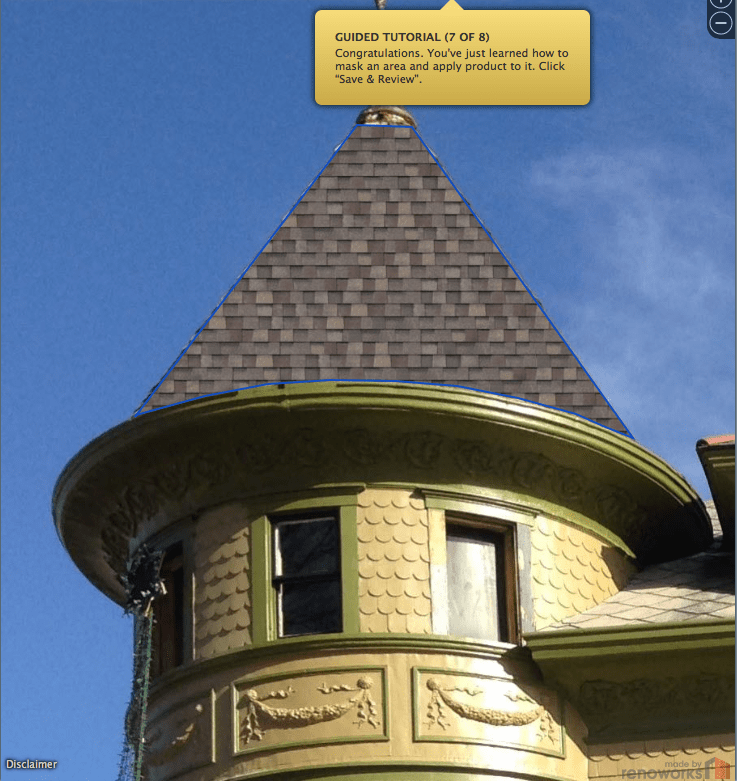 11 Responses to Roofing the House. Part 4. Look at the sherriffgosling.com roofing company. They sell diamond shaped shingles. 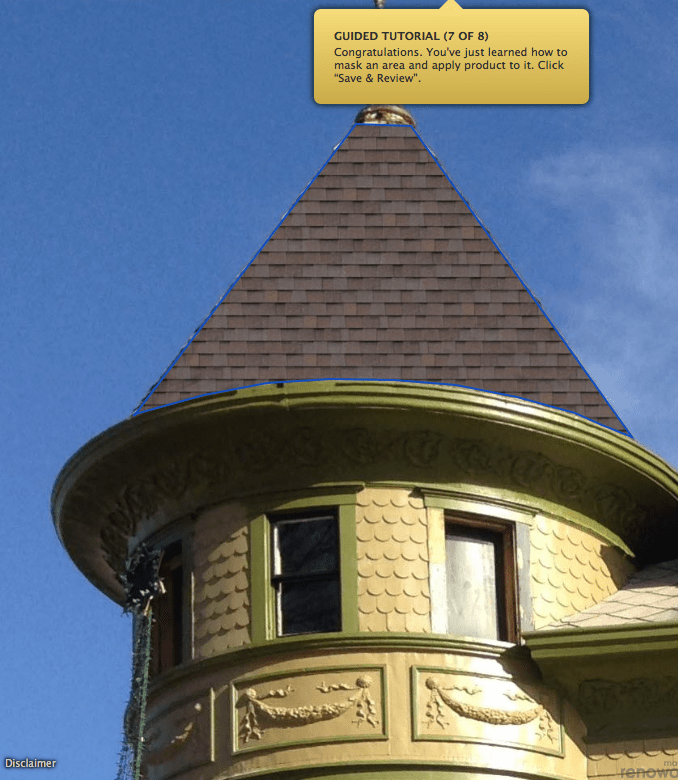 I looked at diamond-shaped shingles. But they do not curve well on round towers, and sweeping curves (such as the SW corner of the main porch roof). Look at GAF roofing they carry diamond shingles. My husband, being color blind, left this choice for me. I also found it very difficult. What helped was to lean them against the house for a few days and look at them numerous times, in different light, and times of day. I tried to pick one with some of the siding trim color in it. It IS hard. I lean towards the rustic slate as well..
“Natural Timber” just looks….well….more natural!! And it does look closer to the old wood shingles. It just seems to give an easier feel to the look of the roof on the house. If that makes any sense?!! But with that said………it is just based on your pictures above, and not the look of the whole house. And I’m not opposed to the “Rustic Slate,” either. Both are very good choices. I like the Natural Timber. Too busy and light and re: my last comment – see who picks gray -all women. I still think the green looks good with your color combo but you’ll go with the women.